Digital lenders are pulling in all kinds of data, like purchases, SAT scores and public records. Marc Stein, who runs Underwrite.AI, writes algorithms capable of teaching themselves. This is called machine learning, a type of artificial intelligence. "Shop at Amazon, and they use a form of machine learning. That's how Amazon's recommender system works," he says. The program learns from each correlation it finds, whether it's determining someone's favorite books or if they are lying about their income on a loan application. And using that information, it can predict whether the applicant is a good risk. "If we looked at the delta between what people said they made and what we could verify, that was highly predictive," Stein says. Digital lenders are pulling in all kinds of data, including purchases, SAT scores and public records like fishing licenses. 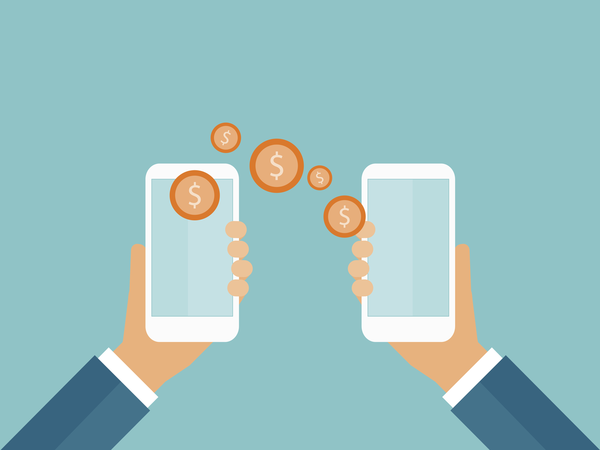 As part of the loan application process, some lenders have prospective borrowers download an app that uploads an extraordinary amount of information like daily location patterns, the punctuation of text messages or how many of their contacts have last names. In the credit industry, this is called alternative data, and it's mostly used to make decisions on short-term, high-interest loans. But that's likely to change soon. "In 10 years, there will hardly be a credit decision made that does not have some flavor of machine learning behind it," says Dave Girouard, the CEO of Upstart, an online lender. Armed with self-teaching algorithms and new data, Upstart is trying to sell its technology to traditional banks. "FICO and income, which are sort of the sweet spot of what every consumer lender in the United States uses, actually themselves are quite biased against people," Girouard says. Government research has found that FICO scores hurt younger borrowers and those from foreign counties because people with low incomes are targeted for higher-interest loans. Girouard argues that new, smarter data can make lending more fair. "The variables we're introducing to this model actually are reducing the bias inherent in most lending systems," he says. "And that's just one way we're actually expanding access to credit." If artificial intelligence can weed out good borrowers from bad just by looking at things like Web browsing history, suddenly it doesn't matter if you live in a low-income neighborhood or your family just immigrated. But it does open the door to new, 21st century versions of redlining. "The question of whether the person pays for gas at the pump or goes inside," she says. "The theory on that is because people who pay inside are more likely to be smokers and smoking supposedly is more highly correlated with lack of creditworthiness." But what if you're just buying M&Ms or prefer using cash? An algorithm doesn't know that. Left unchecked, computers could create all sorts of unintended bias. Some companies have correlated late-night Internet use with bad loan repayment. But does that mean night owls should pay a higher interest rate? There's no evidence that this kind of unfairness is happening, but Barefoot says regulators are beginning to pay attention. "And of course one of the tough issues therefore is that these new kinds of models have not yet been tested through an economic downturn," she says. Barefoot worries that in a recession, failing online loans could spread through the financial system. Ultimately though, she calls digital lending "massively good." Regulators appear to agree and are just now asking questions. Charles Lane is a reporter with NPR member station WSHU. You can follow him @_charleslane. We're going to talk about digital lending now. That's when you get your loans online instead of at a brick-and-mortar bank. That industry is expected to double in size over the next three years, reaching nearly 10 percent of all loans in the U.S. and Europe. And as Charles Lane from member station WSHU reports, government regulators are struggling to keep up. CHARLES LANE, BYLINE: Marc Stein runs underwrite.ai. He writes algorithms capable of teaching themselves. In tech, this is called machine learning, a type of artificial intelligence. MARC STEIN: Shop at Amazon, and they use a form of machine learning. That's how Amazon's recommender system works. LANE: The program learns from each correlation it finds, whether if for favorite books or to determine if someone is lying about their income on a loan application and thus predict whether the applicant is a good risk. STEIN: If we looked at the delta between what people said they made and what we could verify, that was highly predictive. LANE: Digital lenders are pulling in all kinds of data - purchases, SAT scores, public records like fishing licenses. As part of the loan application process, some lenders have prospective borrowers download an app that uploads an extraordinary amount of information, like daily location patterns, the punctuation of text messages or how many of their contacts have last names. In the credit industry, this is called alternative data, and it's mostly used to make decisions on high-interest, short-term loans. But that's likely to change soon. DAVE GIROUARD: In 10 years, there will hardly be a credit decision made that does not have some flavor of machine meaning behind it. LANE: Dave Girouard is the CEO of Upstart, an online lender. Armed with self-teaching algorithms and new data, Upstart is trying to sell its technology to traditional banks. GIROUARD: FICO and income, which are sort of the sweet spot of what every consumer lender in the United States uses, actually themselves are quite biased against people. LANE: Government research has found that FICO scores hurt younger borrowers and those from foreign countries, while people with low incomes are targeted for higher-interest loans. Girouard argues that new, smarter data can make lending more fair. GIROUARD: The variables we're introducing to this model actually are reducing the bias inherent in most lending systems. And that's, you know, just one way we're actually expanding access to credit. LANE: If artificial intelligence can weed out good borrowers from bad just by looking at things like web browsing history, suddenly it doesn't matter that you live in a low-income neighborhood or that your family just immigrated. But it does open the door to new 21st-century versions of redlining. Jo Ann Barefoot, a consultant and former regulator, offers this example. JO ANN BAREFOOT: The question of whether the person pays for gas at the pump or goes inside - the theory on that is because people who pay inside are more likely to be smokers. And smoking, supposedly, is more highly correlated with lack of creditworthiness. LANE: But what if you're just buying M&Ms or prefer using cash? An algorithm doesn't know that. Left unchecked, computers could create all sorts of unintended bias. Some companies have correlated late-night internet use with bad loan repayment. But does that mean night owls should pay a higher interest rate? There's no evidence that this kind of unfairness is happening, but Barefoot says regulators are just now paying attention. BAREFOOT: And of course, one of the tough issues, therefore, is that these new kinds of models have not yet been tested through an economic downturn. LANE: She worries that, in a recession, failing online loans could spread through the financial system. Ultimately, though, she calls digital lending massively good. Regulators appear to agree, and are just now asking questions. For NPR News, I'm Charles Lane. Transcript provided by NPR, Copyright NPR.